Huawei was so close to inking a distribution agreement with AT&T that the Chinese company has already manufactured carrier-specific Mate 10 Pro units. 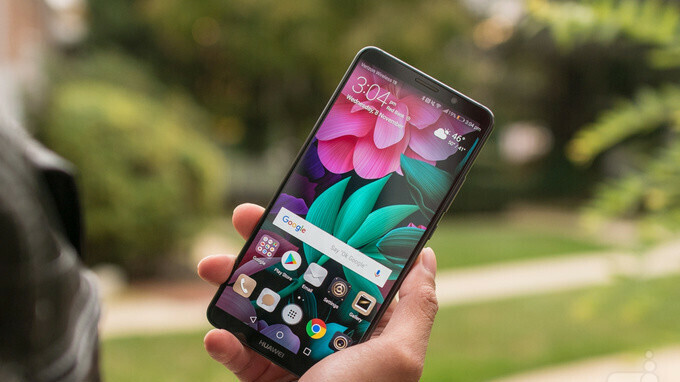 Unfortunately, after AT&T caved in under political pressure, the US version of Huawei Mate 10 Pro will have to be repurposed and sold unlocked. For those of you who still want to buy the Mate 10 Pro even though it won't be available at any of the US carriers, here are a couple of things that you need to be aware of before making your purchase. First off, the US version of Huawei Mate 10 Pro will offer single SIM support, unlike the model that will be launch in other countries which will have dual-SIM support. Then, the flagship will come with VoLTE (voice over LTE) support on both AT&T and T-Mobile, but it will only feature AT&T VoWiFi (voice over WiFi). The same goes for the Porsche Design Huawei Mate 10, which will be much more expensive than the regular version. Huawei Mate 10 Pro will be available for pre-order in the US starting on February 4 for $799, while the Porsche Design model will sell for $1,225. What's the difference between VoLTE and a service like Google Voice that works with data? I mean if you have an LTE data connection and you're using a service like GV isn't that VoLTE by definition? Wouldn't the same apply for WhatsApp, Skype, Telegram etc if you were on an LTE connection? I don't really understand why VoLTE is hyped so much. VoLTE allows for Quality of Service (QoS). Basically, it prioritizes voice call traffic so that the call has better quality and is less likely to be dropped in case of poor signal, plus those VoLTE calls count against your minutes versus your data. In comparison to VoIP calls like GV/Hangouts, Skype, Telegram etc, it's a better experience and it's all while using the phone number you have from your carrier. All those other kinds of VoIP calls have the same priority as the rest of your web traffic, so they'll suffer from QoS issues easier than a VoLTE-enabled call. Thanks for the clarification though I'm still not convinced it would be a deal breaker for me. For now it really isn't. We still have things like 2G/3G fallback in most places, and not all carriers support it fully yet. But in the future, it'll become more important as LTE networks develop and we get more LTE-only cell sites. Not to mention as 2G and 3G networks get shut down to have their spectrum repurposed, having VoLTE (and greater support for VoIP-based calls, including VoWiFi) will become more and more of a requirement moving forward. What I don't understand is. Why no SD card support. You can't sell phones against Samsung without it. I mean really what's the point? The S9 is going to have dual cameras, and a dual aperture mode. Along with a higher resolution screen, 845 chip, headphone jack and SD card slot. The Mate 10 pro has a lot of promise but really it's just another niche phone. Does the average person need more than 128gb though, i know some like to keep their whole life on their phone but lets be honest the average person would struggle to fill 64gb. Or if it's that important just import a standard Mate 10, it has SD card and headphone jack. Another thing to remember is not everyone likes Samsung phones. Agreed. Both my 64gb phones have about 40gb remaining because of Google Photos.